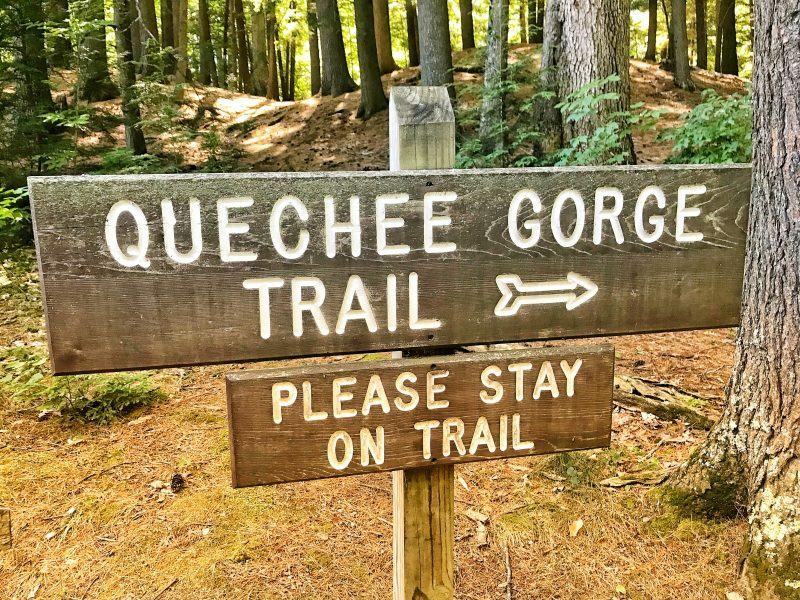 We were at Vermont for the weekend and wanted a good hike, so we headed to the Quechee Gorge, which is Vermont’s little Grand Canyon. I am so excited to share this post mostly because of how excited I was when I saw the beauty of the Gorge. It is a tourist attraction in Vermont along route 4. The gorgeous scenery can be viewed 125 feet from the bridge on route 4, overlooking Ottauquechee River. quechee Gorge- View from Route 4 bridge. The gorge is the deepest Gorge in Vermont and it is 13000 years old. The trail is beautifully shaded. The hike is about a mile, with exceptional views. View from below the bridge. At the end of the trail are rocks. you can get a good view of the route 4 bridge. The Quechee Gorge is also a popular destination for kayaking. Though we didn’t kayak this time, we plan on revisiting. There were shops and restaurants around the Gorge. The biggest antique mall i have ever been. It was an awesome experience, that is if you are into things like that. I know right? It is really pretty out there. We should really consider a girls reunion and go somewhere fun!